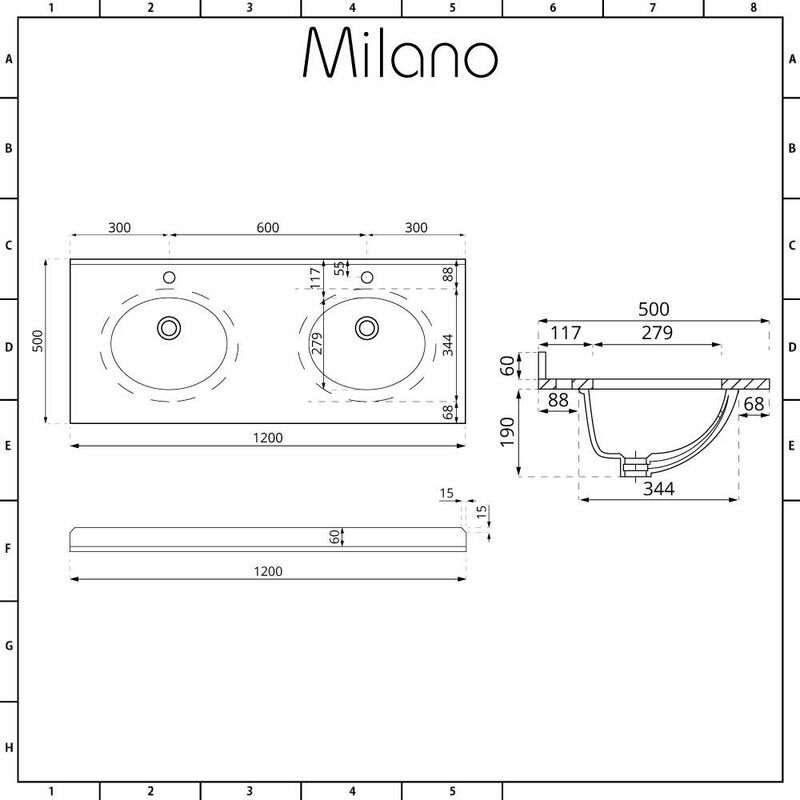 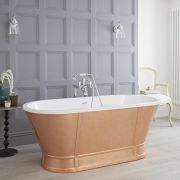 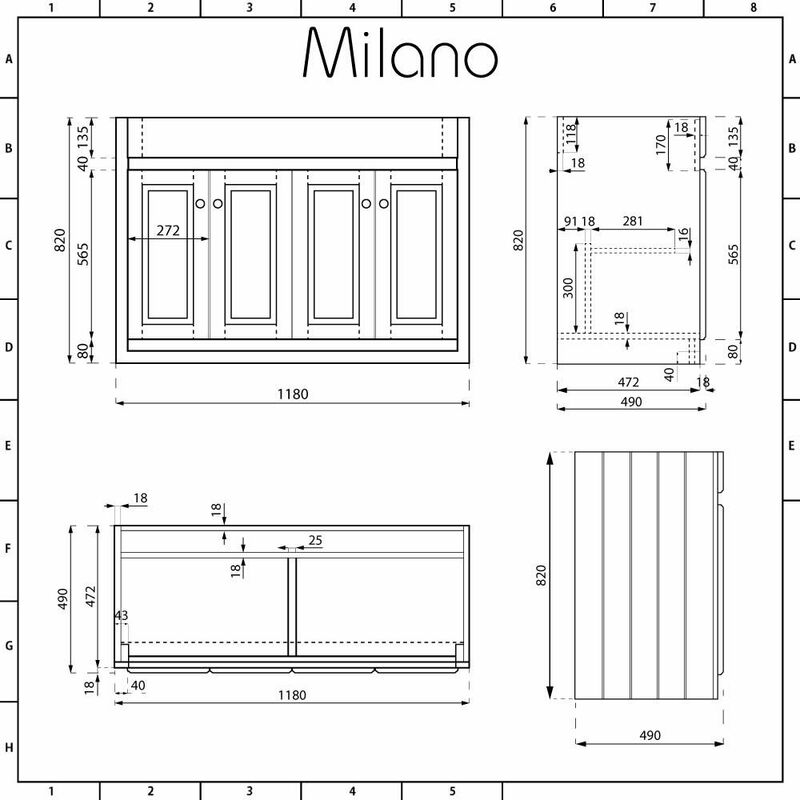 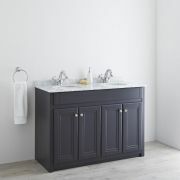 Introduce some traditional elegance to your bathroom with the floor-standing Milano Edgworth 1200mm vanity unit and double basin. 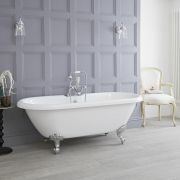 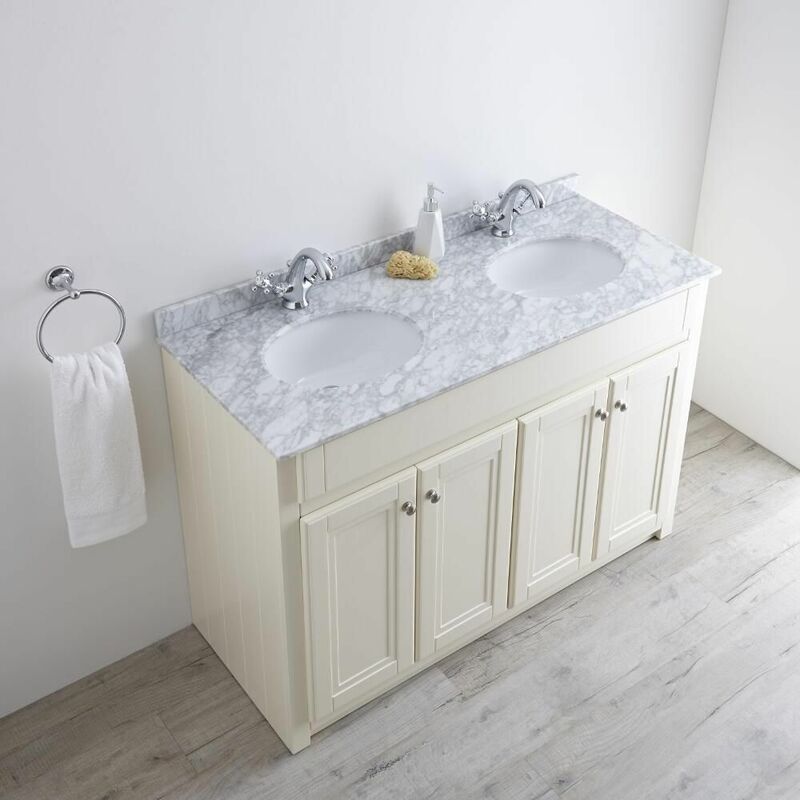 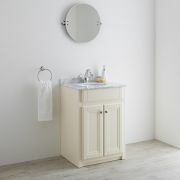 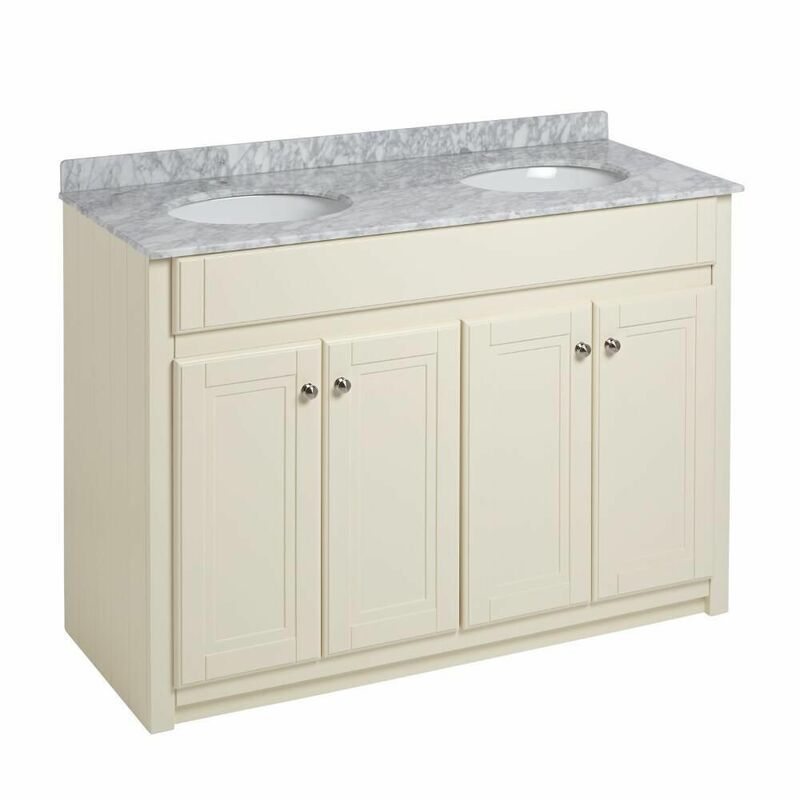 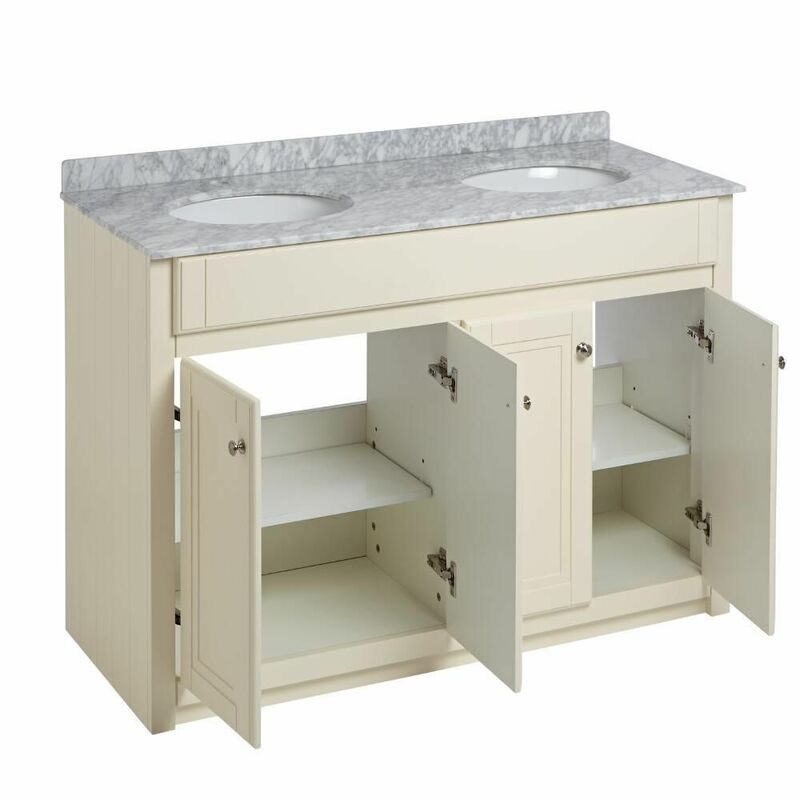 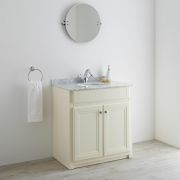 Manufactured from moisture resistant engineered wood, for strength and long-lasting durability, and finished in an attractive ivory colour, the Edgworth vanity unit is complemented with a white marble effect granite top with an inset double basin. 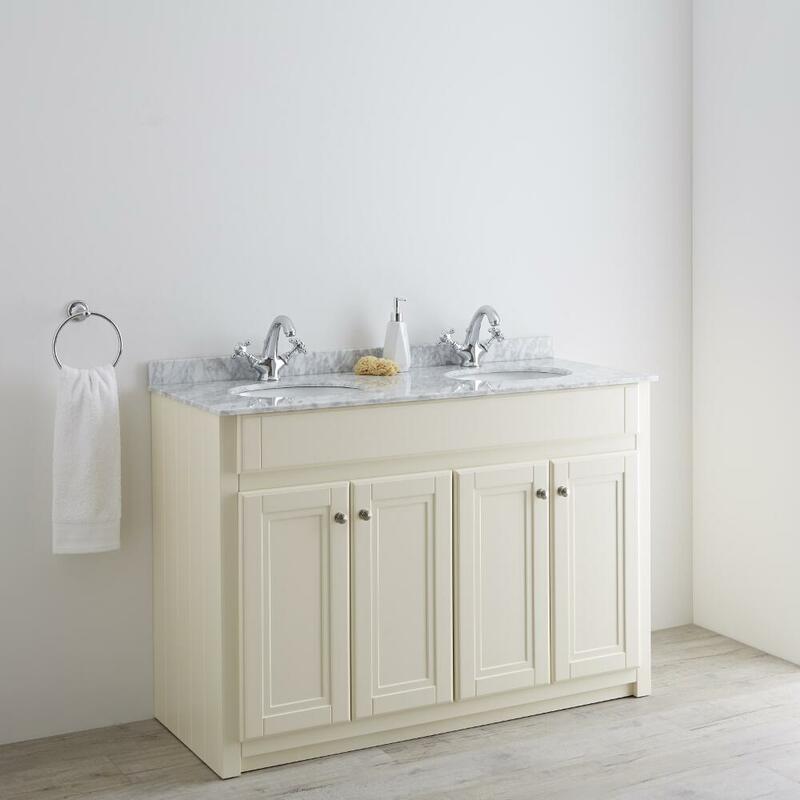 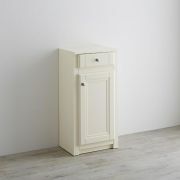 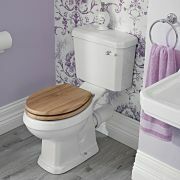 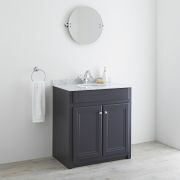 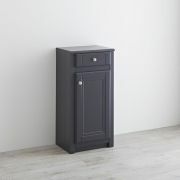 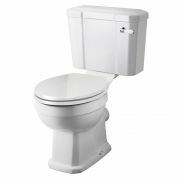 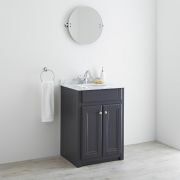 It incorporates two spacious cupboards with internal shelves, to store your toiletries and bathroom products neatly out of sight, behind four stylish soft close doors with chrome handles. 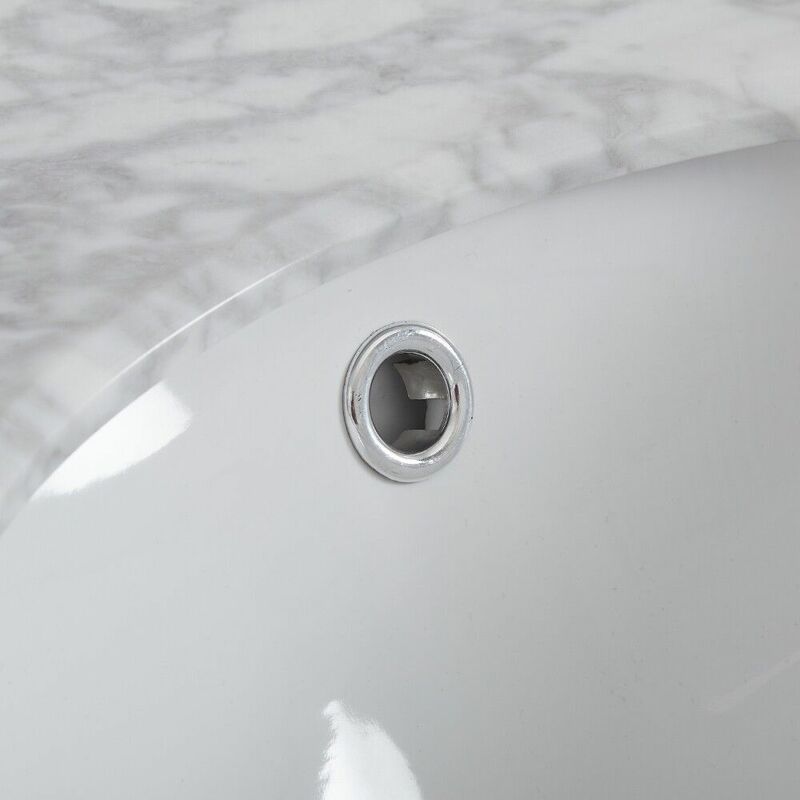 The basins, made from high quality ceramic with an easy to clean white glaze finish, are each fitted with single tap-holes, allowing you to decide on the mono taps you want from our range.